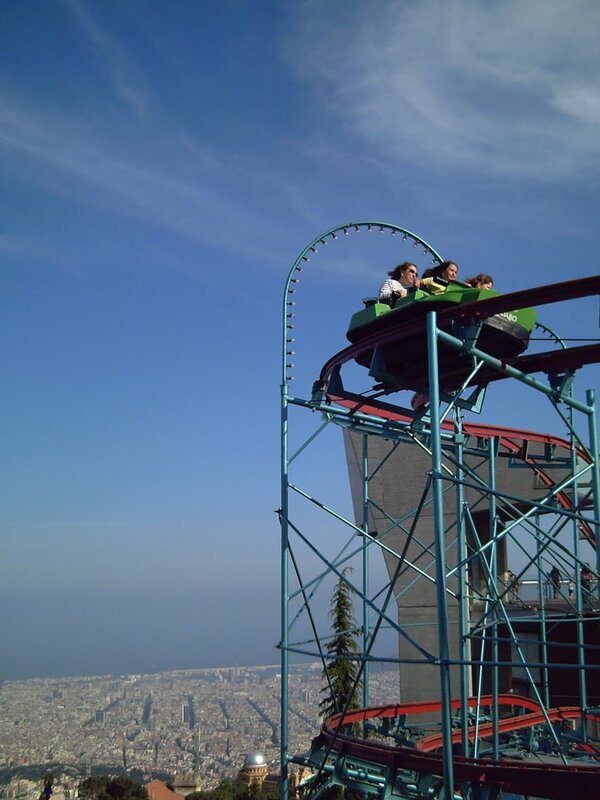 Here is today's daily photo: The roller coaster at Tibidabo Amusement Park. In spite of being small it is located in such a way that you are able to see Barcelona at your feet so the sense of height increases. In the picture I tried to show the attraction and the background for you to get a better idea. 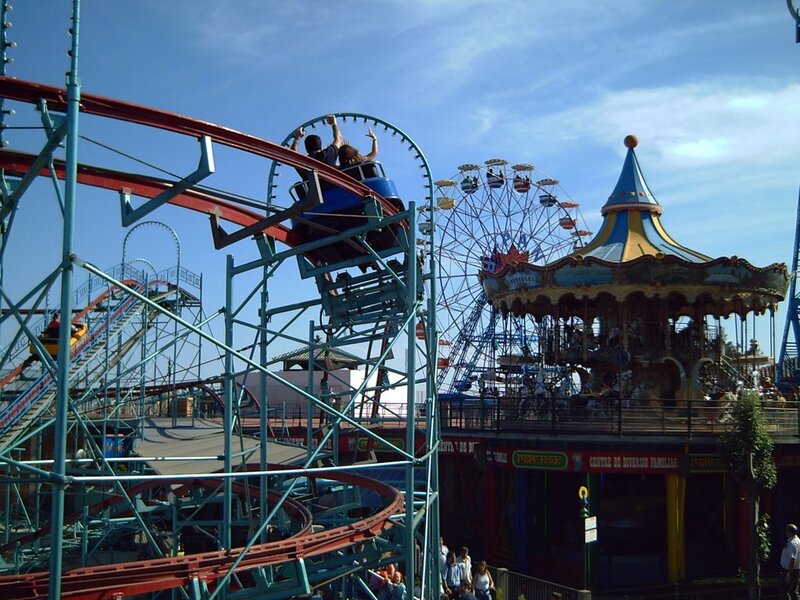 Check these two other pictures: Roller Coaster A, Roller Coaster B. 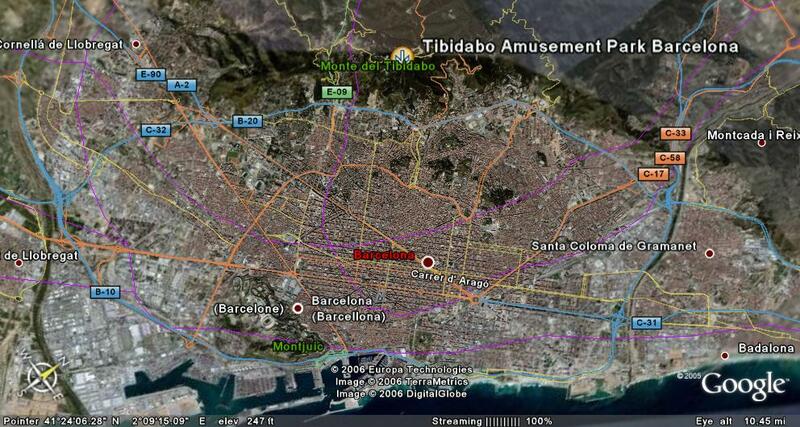 Some other day I will show you other Tibidabo attractions. 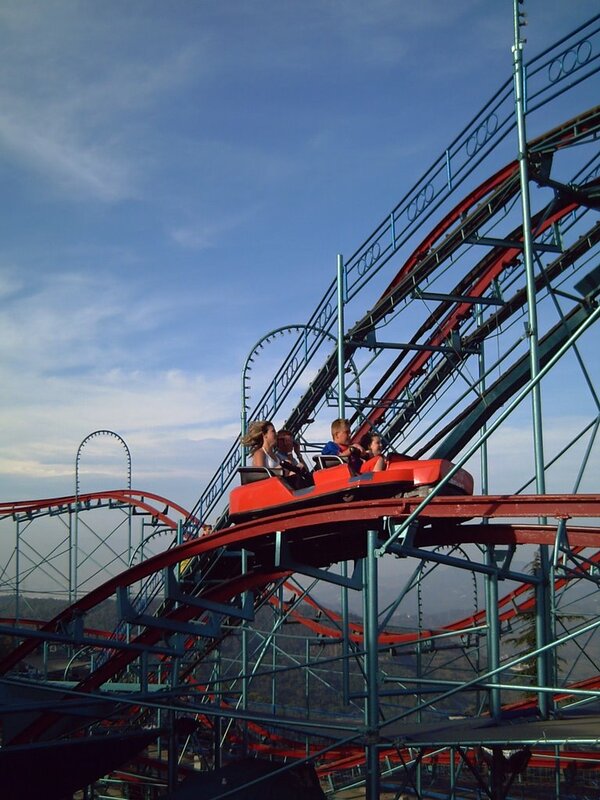 Wow, this amusement park really has a great view over the city! fantastic timing! and look at the density of the city from here ..wow!! that's a great shot, the angle, the background...really great!